The City Municipality of Bremen is a hanseatic city in northwestern Germany, a commercial and industrial city with a major port on the River Weser. Bremen is part of the Bremen-Oldenburg metropolitan area with 2.4 million inhabitants. Bremen is the second most populous city in Northern Germany and tenth in Germany. Bremen is some 60 km south from the Weser mouth on the North Sea, with Bremerhaven right on the mouth. Bremerhaven and Bremen comprise the state of Bremen. Many of the sights in Bremen are found in the Altstadt, an oval area surrounded by the Weser River, on the southwest, and the Wallgraben, the former moats of the medieval city walls, on the northeast. The oldest part of the Altstadt is the southeast half, starting with the Marktplatz and ending at the Schnoor quarter. The Marktplatz is dominated by the opulent façade of the Town Hall of Bremen. The building was erected between 1405 and 1410 in Gothic style, but the façade was built two centuries later in Renaissance style. The Town Hall is the seat of the President of the Senate of Bremen. Today, it hosts a restaurant in original décor with gigantic wine barrels, the Ratskeller in Bremen, and the wine lists boasts more than 600 – exclusively German – wines. It is also home of the twelve oldest wines in the world, stored in their original barrels in the Apostel chamber. In July 2004, along with the Bremen Roland, the building was added to the list of UNESCO World Heritage Sites. Two statues stand to the west side of the Town Hall: one is the Bremen Roland (1404) of the city’s protector , Roland, with his view against the Cathedral and bearing Durendart, the “sword of justice” and a shield decorated with an imperial eagle. The other near the entrance to the Ratskeller is Gerhard Marcks’ bronze sculpture (1953) Die Stadtmusikanten which portrays the donkey, dog, cat and rooster of the Grimm Brothers fairy tale. Other interesting buildings in the vicinity of the Markplatz are the Schütting, a 16-century Flemish-inspired guild hall, and the Stadtwaage, the former weigh house (built in 1588), with an ornate Renaissance façade. The facades and houses surrounding the market square were the first buildings in Bremen to be restored after World War II, by the citizens of Bremen themselves. The impressive Cathedral St. Petri (13th century), to the east of the Marktplatz, with sculptures of Moses and David, Peter and Paul and Charlemagne. The Liebfrauenkirche is the oldest church of the town (11th century). Its crypt features several impressive murals from the 14th century. Off the south side of the Marktplatz, the 110 m Böttcherstraße was transformed in 1923-1931 by the coffee magnate Ludwig Roselius, who commissioned local artists to convert the narrow street into an inspired mixture of Gothic and Art Nouveau. Today, the street is one of Bremen’s most popular attractions. Schlachte, the medieval harbor of Bremen and today a riverside boulevard with pubs and bars aligned on one side and the banks of Weser of the other. The Rododendron-Park Bremen, a major collection of rhododendrons and azaleas, which also includes a botanical garden. Bremen’s closeness to the ocean and its role as a major harbor city has greatly influenced cooking in the region. This is evident in the many recipes using exotic ingredients imported from distant countries. Likewise, Bremen is known for its exceptional coffee which it obtains from its worldwide trade partners. Besides Beck’s world renowned beer and Jacobs Kaffee world renowned coffee, Bremens favorite meal is the “Kale and Pinkel”. The Bremen site is the second development center after Hamburg. It forms part of the production network of Airbus Deutschland GmbH and this is where equipping the wing units for all widebody Airbus aircraft and the manufacture of small sheet metal parts takes place. Structural assembly, including that of metal landing flaps, is another focal point. More than 3.100 persons are employed at Bremen, the second largest Airbus site in Germany. In Bremen there is a plant of EADS Astrium and the headquarters of OHB-System, respectively the first and the third space companies of European Union. There is also a Mercedes-Benz factory in Bremen, building the C, CLK, SL, SLK and GLK series of cars. 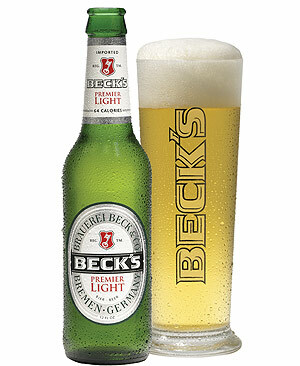 Beck & Co’s headlining brew Beck’s and St. Pauli Girl beers are brewed in Bremen. In the past centuries when Bremen’s port was the “key to Europe”, the city also had a large number of wine importers, but the number is down to a precious few. Apart from that there is another link between Bremen and wine: about 800 years ago quality wines were produced here. A large number of food producing or trading companies are located in Bremen with their German or European headquarters: Kellogg’s, Kraft Foods, Frosta, Nordsee, Melitta Kaffee, Eduscho Kaffee, Vitakraft, Atlanta AG etc.